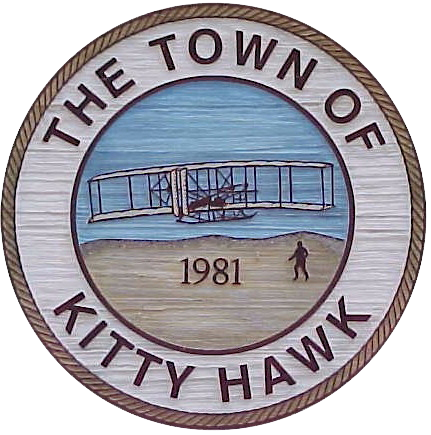 The members of the Kitty Hawk Fire Department are currently sponsoring a program to place reflective signs on mailboxes or wooden posts with your street number on both sides. These signs would greatly assist Fire, Police, and Emergency Services in locating your home in the event of an emergency. 100% Aluminum with a highly reflective green laminate that can be easily seen in any light, day or night. 3 inch reflective 3M engineer grade vinyl numbers. All signs are 6 inches wide and 18 inches high, fade resistant, and will last for years. The signs are $20 when mounted on a mailbox post. We will deliver and install your sign at no additional cost. If you do not have a mailbox next to your driveway, or if the post is not made of wood, then we will mount the sign to a 4″ x 4″ post and install it for an additional $5. If you have any question or if you would like to see a sample, please call us at 252-261-2666. We will be happy to bring a sample to your home for you to see. Please call 252-261-2666 or visit the fire Department at 965 West Kitty Hawk Road to order the signs.